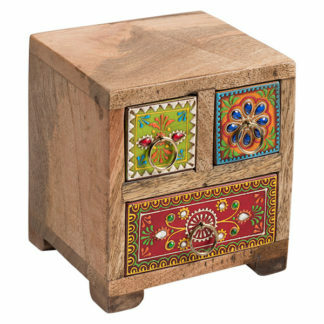 The Hindi word ‘Sankalaka’ is translated as ‘eclectic’. 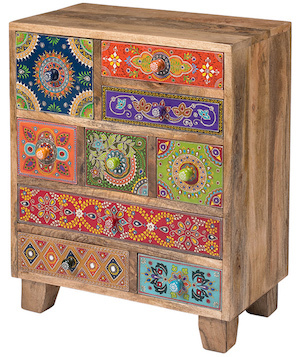 The random applicaton of skilfully painted drawer panels results in this beautiful, eclectic, unique 6-drawer chest. 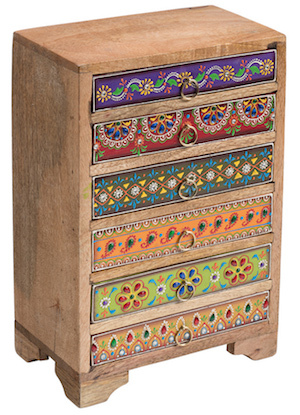 Each panel is hand painted to perfection by highly skilled artisans.